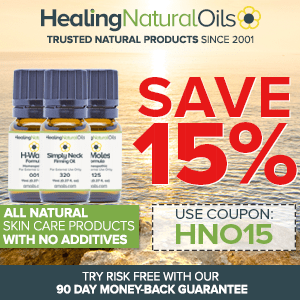 How To Use Essentials Oils To Improve Circulation & Blood Flow! Nearly 50% Americans suffer from hypertension which is a circulatory disorder and the leading cause of heart diseases and strokes. Actually, from the ticker to the pecker and from the noggin to the pins, every organ and system in the body is thrown out of whack once the circulatory system takes a hit, and understandably so. After all, the vast network reaches each one of the 37 trillion or more cells that make your body. The ticker and the tubing that form a part of the circulatory system not only provide a steady supply of oxygen and nutrients to the body but also play a role in clearing carbon dioxide and cellular waste. So, when something goes wrong with circulatory system, the organs get starved and poisoned by the buildup of toxins, all at the same time. When you think about the severe and long lasting damage that this lethal combination can do, it is easy to understand why circulatory / cardiovascular diseases are the leading cause of death in the country. In fact, nearly 33% of all fatalities in the US are attributed to these ailments. So, while you were reading this, 2 people somewhere in the country lost their lives to cardiovascular issues. Facts About The Circulatory System – Is The fault In Our Stars? Those figures can make you feel that your circulatory system is inherently flawed. Don’t worry, it isn’t! In fact, like everything else in your body, it is built to near perfection and designed to serve you for decades. However, all of that holds true in optimal conditions. But, our lifestyles are miles away from what can be termed as optimal. Unfortunately, the sheer vastness and complexity of the circulatory system can compound the stress brought on by our flawed ways. For instance, you may remember learning in school that if all your blood vessels are put together end to end, you would end up with approximately 60,000 miles or 2.5 times the length of the equator. If all your blood vessels are put together end to end, you would end up with approximately 60,000 miles or more than twice the circumference of the earth! NO, I am not trying to prep you up for a game show with all that information. I just wanted to prove that this is one hardworking system we got in there. Plus, it keeps going and going, even longer than the biggest Energizer battery. Moreover, it handles a very important job. So, we should have nothing but respect and admiration for it. Sadly, that is not how we roll! Instead of limiting the stress on this already overworked system, we continue to burden the fine-tuned network further. Now, how much pressure do you think that poor thumping pump and those pulsating pipes can handle? Not a lot! And that explains why cardiovascular issues are so common. So, What Causes Poor Circulation? I am not going to talk about heart or lung problems in this article, although both organs are integral parts of the circulatory system. Instead, I will exclusively focus on the systemic aspect or the blood vessels and the flow of blood. This brings us down to just 3 ailments, but believe me when I say this, even one from this trio is enough to kill. I have already told you how common hypertension is. Appropriately nicknamed the “silent killer”, high blood pressure is both the cause and the effect of circulatory problems. In layman terms, it simply means that blood gushes through your arteries at a greater pressure than it should. Constant, high blood pressure can damage the blood vessels, the heart and greatly increase the risk of kidney diseases and stroke. In the initial stages, hyper tension often goes unnoticed and the symptoms come to light only after a lot of internal damage has already been done. The ill effects of high blood pressure build over time, so it is crucial to treat the problem early on. We have all seen the garden hose getting clogged by algae; this is a similar situation, except that it happens inside your body. Normally, the inside wall of the arteries is smooth but when it’s constantly subjected to high blood pressure, it develops tears. These tears trap fats, cholesterol, protein, inflammatory cells and calcium. Over time, the accumulation of this debris hardens and turns into a blockage. It takes years for things to reach the stage where you feel the symptoms of plaque buildup, and by then, the condition is usually life threatening. Infection, hypertension and chemicals lead to the tears that end up trapping the plaque. But as the inner diameter of the arteries decreases, there is greater resistance to the flow of blood, which increases blood pressure. The unusual widening of the arteries results from the weakening of the arterial walls. You may have already guessed that the ballooning causes the walls to become thin and weak and can cause a rupture. The condition is very dangerous and usually requires surgical intervention. Aneurysms can be congenital and can have a hereditary element to them but the ballooning may also be caused by inflammation and high blood pressure. A ruptured aneurysm is a life threatening emergency. Poor Circulation: A Cascade Of Problems That Can Quickly Turn Into A Catastrophe! Let’s talk about how your heart and other organs fare in response to circulation disorders. The problem with cardiovascular issues is that they have a compounding effect in which the cause turns into the symptom and vice versa. The net result is a vicious cycle of health issues that quickly go beyond the circulatory system and begin to impact all other parts of the body. Take a look at just how all-around dangerous things can get. The heart: When there is a problem with circulation, the heart has to work twice as hard to keep up with the demand for oxygen and nutrients. An increase in work load means greater wear and tear, which can lead to permanent damage and weakening of the cardiac muscles. Also, it can impact the ability of the heart to maintain a steady rhythm and cause arrhythmias. Both these conditions significantly raise the risk of heart attacks and heart failure. The blood: An erratic heart rate combined with narrowed arteries creates a disruption in the flow of blood. This greatly increases the risk of clots, usually in the extremities. If the clot gets dislodged and moves up the circulatory network, it can clog an artery that serves a vital organ and lead to a stroke. The organ damage in such a case can be permanent and even fatal. The brain: Of all the organs in the body, the brain is the most expensive to maintain and also quite greedy. So, it does not take too kindly to the starvation and you quickly feel the impact in the form of dizziness, fainting spells, chronic fatigue and problems with memory and understanding. In fact, some forms of depression and dementia are directly linked to blood flow disruptions to the brain. The eyes: Circulatory issues can cause damage to the tiny and delicate blood vessels that serve the eyes. This can cause blurred vision, blind spots and significant vision loss. The kidneys: A clot that disrupts the flow of blood to the kidneys can kill the renal cells, leading to renal failure. Moreover, chronic circulatory issues can gradually starve the renal cells and kill them, lowering the ability of the kidneys to filter toxins from the blood. The liver: An organ that receives blood from both an artery and a vein, the liver can suffer if the blood does not flow out or in as it should. If the outflow is disrupted, you risk an enlarged liver while a problem with inflow starves the cells and increases the risk of heart failure and blood clots. The digestive system: Poor circulation to the digestive tract interferes with the digestive process and prevents your body from absorbing the nutrients as it should. This results in a host of tummy troubles, including loss of appetite. As your body is starved of nutrition, your metabolism plunges, leading to unexplained weight gain or at least an inability to drop the pounds. You will also experience other symptoms like abdominal pains and cramps, constipation, diarrhea and bloody stools. The immune system: The immune system sends its soldiers to the site of an infection or a wound through the blood. But, when the circulatory system is impaired, your body does not get nutrients that it needs to heal and protect itself. Moreover, nutritional deficiencies also impact your body’s ability to produce enzymes that are vital for immune processes. The muscles: The muscles also suffer just like all other organs as they are starved of nutrients and cannot purge metabolic waste. You will feel this in the form of muscular pain, swelling, tenderness and cramps. The skeletal system: The effect on the bones is not immediately apparent but it builds over time and that is when you feel the skeletal weakness and pain brought on by the leeching of calcium from the bones. The skin, the hair and the nails: These are the parts of the body that are at the bottom of the food supply chain. So, even on a good day, they get a limited supply of the goodies, imagine what happens when there is a deficiency. The skin responds by going dry; the nails get brittle and start to crack and the hair start to fall off. The limbs: The earliest impact of poor circulation is felt on the limbs as the digits are served by small blood vessels that are at the end of the circulatory network. Particularly, the legs and the feet are the first to show visible signs of poor circulation in the form of varicose veins and ulcers. You will also experience, numbness, tingling, cramps, pain and poor wound healing. Cold extremities are another sign of poor blood supply. The reproductive system: Circulatory malfunctions impact the reproductive organs and abilities in both men and women. In women, cardiovascular issues lead to menstrual irregularities, conception problems, heightened risk of miscarriage and fetal deformities. As far as the boys are concerned, any problem with circulation is bound to impact their performance in the bedroom. In fact, erectile dysfunction is a tell-tale sign of clogged arteries and cardiac issues. The psychological impact: As the brain and the body starve, you will also feel mental and physical exhaustion, sluggishness, impaired cognitive abilities and depression. The toxic combination of fatigue and pain can make it hard to perform day-to-day tasks and impact work performance. These are bound to influence confidence levels and the desire and ability to socialize or indulge in pleasurable activities. You may have noticed that what we are talking about here is a gradual but total shut down. Considering this, it goes without saying that prevention and early treatment is certainly better than cure when it comes to circulatory problems. But the initial symptoms of circulation disorders can be easy to miss. In fact, they often get misdiagnosed and the abnormality continues unabated while the patient feels that he/she is on the way to recovery. So, here is a look at some of the signs that point to possible circulatory problems. What Does A Circulatory Disorder Feel Like? You may have heard that cold hands are a sign of a warm heart; don’t know about the warmth part of it, but it could very well be a ticker under pressure. Cold hands and feet, tingling in the toes and fingers, brittle and malformed nails and dry skin are often early symptoms of poor circulation. Depending on what is disrupting the blood flow and how badly, you may also see skin discoloration, usually red or purple spots. Itching is another sign along with excessive susceptibility to infections. Even tiny wounds take more time to heal when there isn’t enough blood to fuel cellular regeneration. After a while, numbness may set in and impact the ability to feel pain and temperature changes. As the cells respond to the paucity of nutrition, your hair will be the first to throw in the towel. I am talking about the hair on your scalp as well as on the other parts of the body. When the skin on the scalp gets starved, you will not only experience hair loss but also itching and dandruff. Another early symptom is a deep-seated sense of fatigue that does not go away even after a good night’s sleep or a break. Headaches, lethargy and increasing instances of brain fog may also be linked to circulatory problems. The symptoms of circulatory issues often move up the body and towards the heart. As other organs and system get affected, it can be hard to pin the signs on a circulation problem, which is why these symptoms are often misdiagnosed. For instance, the joints are the next to get impacted after the extremities. As the distressing condition moves up the limbs, calf pain and cramps and joint stiffness become common. Leg weakness, swelling and soreness without an injury to account for them are other tell-tale signs. Sores and ulcers will usually appear, and these will take longer to heal. Climbing, swimming and walking gets painful at this point. Slowly but gradually the discomfort moves to the thighs and even the hips. These are all classic signs of peripheral artery disease (PAD), which involves the clogging of arteries other than those that supply blood to the brain and the heart. Often tummy troubles accompany the pain in the limbs. You may experience loss of appetite, constipation, diarrhea and flatulence. Varicose veins are among the most visible signs of circulatory disruptions. The bulging, blue blood vessels usually make an appearance on the legs and they can be both the cause and the symptom of poor circulation. Besides being an eye sore, these veins can cause itching, pain, heaviness and swelling in the legs. However, since varicose veins can also be caused by long hours spent standing or sitting, this is rarely the symptom that rings the alarm bell. The gong of trouble is heard at the first experience of cardiac flutter or palpitation. Now, this distressing signal is typically hard to miss as are extreme changes in blood pressure, which will cause your heart to thump, cold sweat and light headedness. Even if your first indication of an underlying circulation problem is not so extreme, you will begin to experience shortness of breath, tightness in the chest and erectile dysfunction. These are usually enough to scare most people into consulting a doctor. 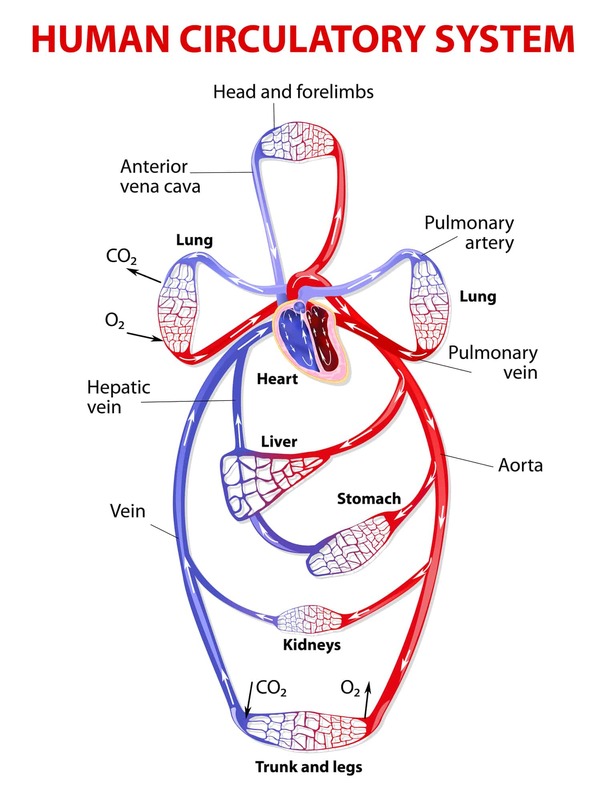 So, What Are The Causes Of Poor Circulation? I know things look quite grim and hopeless so far. But, here is the first and only piece of good news that you will need to find your way out of this tunnel. Yes, there are medical conditions that cause circulatory problems but mostly we have our indulgences and poor lifestyle choices to thank for cardiovascular disorders. As long as you are willing to change your ways, there is hope. While you may not be able to completely undo the damage done, it is possible to prevent a further downhill slide. That being said, let’s talk about the medical and lifestyle causes of poor circulation. Peripheral artery diseases: I told you about this ailment earlier; it involves the narrowing of the arteries that serve the limbs, the torso and the abdomen. Although PAD is considered an age related disorder that frequently occurs in people over 50 years of age, those still in their 3rd or 4th decade can be just as susceptible to arterial clogging if they suffer from diabetes and high blood pressure and have an unhealthy lifestyle. Pregnancy: Some women do suffer from high blood pressure during their pregnancy which causes circulatory problems. Thyroid issues: Both hyperthyroidism and hypothyroidism impact metabolism and the heart rate. These conditions also lead to abnormal heart rhythm. Thyroid issues can result in poor circulation and damage the blood vessels. Raynaud’s disease: This is a rare disorder the cause of which is not clearly understood. What we do know is that women are more prone to suffering from it and the condition involves vasospasms and the narrowing of the blood vessels in the toes and fingers in response to cold and stress. The spasms are temporary but can create trouble if they lead to clots. Pulmonary issues: Any ailment that impacts the ability of the lungs to oxygenate the blood will affect the circulatory system, be it asthma, pneumonia or bronchitis. Diabetes: Actually, this one should have been the first on the list because it is one of the main causes of hypertension, cardiac disorders and atherosclerosis. But, the reason it’s the last in this group is because type 2 diabetes is largely a lifestyle and diet related condition and that is what we are going to be talking about next. I don’t have to tell you that even a few extra pounds have the potential to create health trouble. Now, imagine what obesity can do to you when your vital organs and blood vessels literally get squashed against each other with layers upon layers of fat enveloping them. Lifestyle choices definitely play a role in body weight and the health of your circulatory system. Couch surfing: If you spend long hours sitting or lead a relatively sedentary lifestyle, you are certainly giving those clots all the time they need to form and get bigger. Plus, parking yourself in one place or position simply adds to the strain on the heart and the blood vessels. After all, there is a reason why sitting is called the new smoking. All the calories and fats: I know that the jury is still out on the role played by dietary fat consumption on the level of cholesterol. But since your blood picks up a lot of the things that make their way into your tummy, it would be a safe bet to assume that at least some of the lard manages to get into the blood stream. Stress and sleep: If unhealthy food choices and lack of physical activity don’t do enough damage, we heap on more by including stress, anxiety and poor sleep quality to the equation. All of these influence the levels of cortisol in the body and have a direct impact on the heart rate and blood pressure. Smoking away the lungs: To top it all, some of us go out of our way to send a double dose of toxins into the blood stream in the form of tobacco smoke. If your lifestyle includes all or even some of the above, you have already boarded a supersonic jet to Trouble Island and the only way to get off that plane is to mend your ways. How Are Circulatory Problems Treated? When it comes to cardiovascular issues, you have a number of treatment options, albeit limited. Your doctor will pick between a surgical procedure and drug therapy and the choice depends on just how far gone the situation is. Angioplasty: If there is a significant buildup of arterial plaque, which is blocking the blood flow to the brain, heart or if there is a very real risk of an aneurysm of a major blood vessel, angioplasty and stenting are the only options available. Angioplasty involves the widening of the obstructed artery through the use of a balloon-like contraption. Stenting: A stent will usually be used on the widened artery. This is a tube of sorts that is used to preserve the integrity of the blood vessel and prevent ruptures in case of an aneurysm. It is also used to keep the cleared space free of plaque in the future. 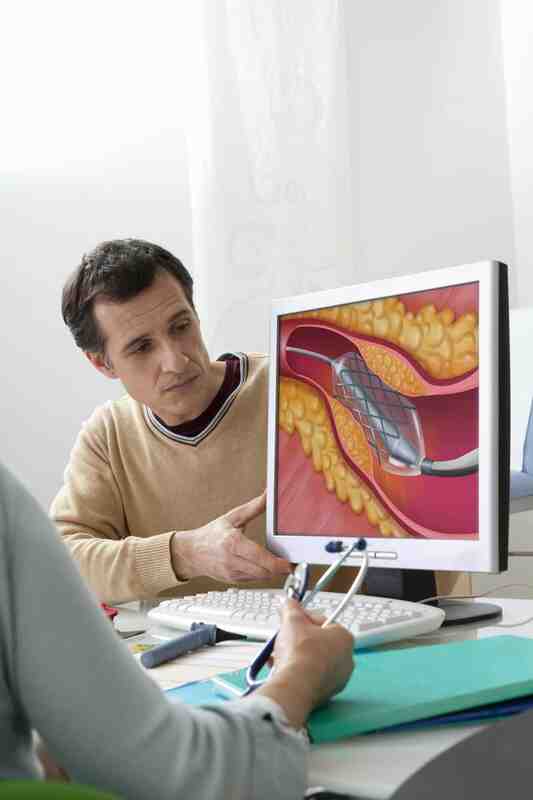 In both cases, the procedure is minimally invasive as the blood vessel is accessed through the use of a catheter or a long tube that is guided to the affected area through the help of diagnostic tools. Open heart surgery: If the heart or any other organ has been affected due to blood flow disruptions or the blood vessels are damaged beyond the point where stenting or angiography can help, a surgery in which the chest cavity is opened may be the only option. Antihypertensive medication: There are numerous drug classes in this broad category that in some way increase the space inside the blood vessels. Calcium channel blockers do this by preventing calcium from entering the cells of the heart and the blood vessels. This stops the blood vessels from tightening and the heart from pumping too hard or too fast. ACE inhibitors and angiotensin II receptor blockers work by influencing the amount and the effectiveness of the enzyme that causes the blood vessels to contract/tighten. Other drugs include vasodilators, direct renin inhibitors, central agonists and peripheral adrenergic blockers. Although their mechanism of action varies, all of them help to relax the muscles in and around the blood vessels, which increases the space available for blood flow. Diuretics: Also known as water pills, these drugs are typically prescribed with hypertensive medication like calcium channel blockers and ACEs. They increase the urine output thus lowering the amount of water and salt in the system. When you have a lower volume of fluids circulating through the system, the pressure is bound to decrease. Alpha or beta blockers: These drugs act directly on the heart, stabilizing and correcting abnormalities in the heart rhythm and lowering the amount of strength/pressure put into each beat. Blood thinning drugs: As their name suggests, these drugs help to keep the blood thin, which lowers the risk of clot formation. Anticoagulants like warfarin and antiplatelet medication such as aspirin are the two drug classes in this category. Apart from these, your doctor will also prescribe something for the pain, swelling, tingling and numbness. If you have slow healing wounds or ulcers, antibiotics may also be required. Yes, There Are Side Effects, But You Can’t Stop Taking These Drugs! There are so many side effects of the drugs listed above that it would be beyond the scope of this article to talk about all of them. But, just to give you a gist of what we are dealing with here, I am going to tell you about a few. Most of these drugs are highly reactive and will often produce adverse effects when coupled with other medication, vitamins, herbs and even certain food items. There is a very real risk of accidental overdosing. Even when they are not interacting with other meds, these drugs do have serious side effects. For instance, diuretics can cause fatal bleeding in the gastrointestinal tract and the brain. Antihypertensives can cause pulmonary issues, hearth rhythm problems, dry mouth, sore throat, headache, nausea, dangerously high levels of potassium, chest pain, kidney problems, diarrhea, digestion problems and others. Unfortunately, you cannot stop taking them unless you can bring about a massive improvement with alternative therapy. If you are on these drugs, I highly recommend that you consult your doctor before using any form of holistic treatment. Moreover, it is crucial to keep a close eye on how your body is reacting to the combination of various treatment modalities. Over compensation or over correction won’t help in this case. Did We Miss The Most Effective And Important Treatment Option Of All? Nope! But, this one deserves an exclusive mention and I am going to give it one! 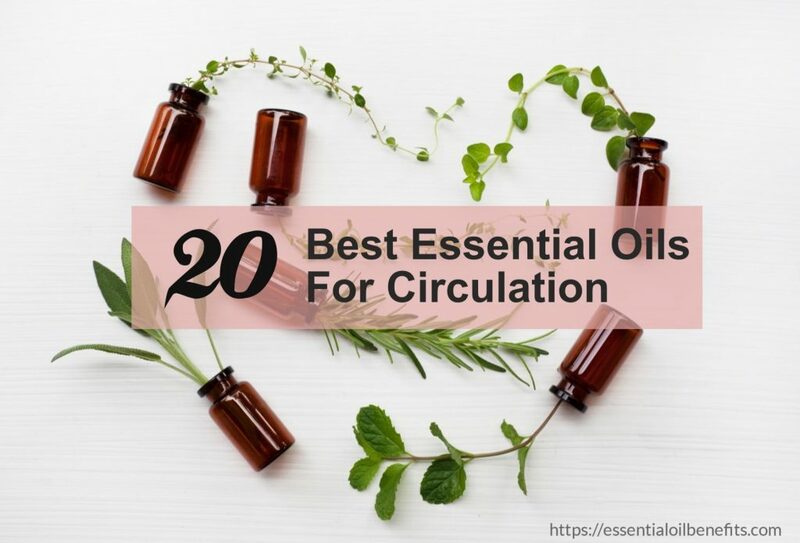 There is one factor that gets a unanimous nod from practitioners of modern medicine and holistic treatment as the key to preventing, controlling, treating and even curing circulatory problems. If you have not guessed it already, here it is for you in bold letters – LIFESTYLE CHANGES. You can gulp in all the pills you want, you can use all the herbs you want and you can breathe away gallons of oils (OK that is a gross exaggeration, but you get the point), nothing will help if you are fixed in your unhealthy ways. On the other hand, the minute you make a shift to the other side, you will get fantastic results from alternative treatments to the point where you may be able to reduce or completely stop your dependence on drugs. The best part is that it doesn’t take much to do good by your ticker and the pipes. So, here are the top 25 tips to a healthy circulatory system and these changes won’t cost you anything! All you need is 30 minutes of physical activity a day to keep your heart in top shape. Swimming, aerobics, walking, biking, jogging or dancing all qualify, so take your pick. Cutting out unhealthy fats, sugar and refined carbs from your diet will help you to shed the pounds and to lower the risk of clogged arteries. Give your body the power of healing and protective antioxidants by loading up on colorful fruits and green vegetables. Tap into the healing power of seeds by adding some crunch to your food with pumpkin and melon seeds or whip up a smoothie with flax and chia seeds in it. Snack on nuts to give your body healthy fats, vital nutrients and protein that will keep your blood vessels clear and healthy. Don’t shy away from spices and pungent roots. The heat of ginger, garlic and cayenne pepper is great for your circulatory system. Walk and sit up straight, hunching over can cause spinal and nerve damage and it definitely impacts circulation. If you spend most of your waking hours at your desk, get into the habit of taking a 5 minute walk every hour. Stretching at the desk is another way to get the blood flow going. Keep your body hydrated and the blood flowing easily through your arteries by drinking 8 glasses of water everyday. Go slow on the booze, limiting yourself to no more than a serving a day. Also, try to stay away from hard liquors, opting instead for antioxidant rich red wine. Rein in your consumption of stimulants, whether your beverage of choice is coffee, black tea or an energy drink, the caffeine in these will put your blood pressure and your heart rate in fourth gear. Too much of this can be too bad, and circulatory problems will often be the first indication of the fact that you are overdoing things. Go green in your efforts to keep awake and be energized through the day. Yes, I am talking about green tea, nature’s very own energy drink that is loaded with several antioxidants and anti-inflammatory compounds. I know this may come as a shocker, but what you wear can also have an impact on the health of your circulatory system. Skinny jeans and tight tops can seriously constrict blood flow, particularly if you intend to spend a lot of time sitting or standing while in these clothes. No, I am not asking you to pick a potato sack but a snug fit will help to keep the fluids moving and look great too. While you dressing for comfort and better circulation, also consider the weather. There is certainly no harm in keeping yourself toasty warm in winter months with the right amount of layering. If you suffer from cold fingers and toes, cover those digits to keep them warm and prevent the risk of clots. For swollen legs and feet, get yourself compression stockings that lend support to the blood vessels and improve circulation. A foot soak not only relaxes your mind but also widens the tiny blood vessels that serve the extremities of the body, helping to move the blood as it should. Donning the right pair of shoes is another way to keep your feet and legs pain free and the blood vessels clot free. Furthermore, reflexology shoe pads can add to the benefits of walking by gently massaging the soles as you go about your chores. If circulation problems are leaving you with swollen and painful legs and feet, elevation can help instantly and immensely. Use a pillow to elevate those pins or you can do the legs against the wall pose. Both will help to empty the veins and clear the blood pooled in the extremities. A massage is another feel good treatment modality that not only works on stress but also on the circulatory system. You can get more out of the rub down if you enlist the help of a masseur who also offers manual lymph drainage therapy. Dry skin brushing is another way to improve circulation. A bonus is that it will leave your skin feeling smooth and soft as you will rid yourself of dead cells and enhance blood flow to the dermal layers. In winter, use hydrotherapy at home to get the blood flowing as it should. Alternate between a cold and a hot shower, to dilate the blood vessels and to increase the flow of oxygen through the body. Limit your consumption of salt to prevent spikes in blood pressure. There is a reason for the statutory warning on cigarette packs. Smoking truly poisons your body. ABOVE ALL, keep a check on stress. Few things can hurt your heart and your circulatory system as much as excessive cortisol. Do Essential Oils Really Have A Place In The Treatment Of Circulatory Disorders? Hell, yes! In fact, these babies are the true game changers since they even work on factors that are beyond the scope of modern day drugs. Let me explain this further. We all know that small nicks and constant irritation causes some amount of inflammation and swelling. So, it’s safe to assume that the small arterial tears that eventually lead to plaque accumulation and the hard pulsation of the arteries in response to hypertension must cause inflammation in the blood vessels and the surrounding muscle tissue. Since inflammation causes swelling, it is easy to understand how it can lead to the narrowing of arteries. Unfortunately, hypertensive drugs don’t help at all to curb this inflammation. Although diuretics are effective against swelling, they don’t address the inflammation that leads to the swelling. On the other hand, the anti-inflammatory properties of essential oils are legendary. Now, I am sure the naysayers will argue that even if they were to buy into this claim, how can the topical use of essential oils help to ease inflammation in all parts of the body? The answer to that is simple. It has been clinically proven that the bioactive compounds in these aromatic extracts seep through the dermal layers and make their way into the blood stream. This means they do get to all parts of the body. Plus, these natural compounds are so potent that even in minute quantities, they can make a significant difference. Also, it is a well-known fact that stress plays a pivotal role in the onset of circulatory problems. Essential oils are remarkably effective in reducing the levels of cortisol. In fact, these aromatic extracts relax the mind, body, the blood vessels and the muscles. Many essential oils are powerful vasorelaxants that widen the blood vessels. There are others that work as diuretics and lymph tonics and help to clear toxins from the system. Plus, these oils offer almost immediate anti-hypertensive effects, which can be turned into long term results with sustained use. And here is the best bit—NO SIDE EFFECTS! Of course, I am not suggesting that essential oils will magically clear up arterial clots or deal with aneurysms. What I am saying is that if used early on, these extracts can stop things from reaching the point of no return. So, let me open up my treasure box of oils and show you the gems that can and will make a difference. This fragrant oil helps to reduce the levels of triglycerides in the body and has calming properties that are effective against depression, nervousness and anxiety. It also has mild diuretic and sedative properties that help to treat hypertension, inflammation and other circulatory issues. No, you won’t be smelling of garlic because you won’t be applying this oil on your skin nor use it in aromatherapy. When ingested, garlic essential oil not only lowers the levels of triglycerides and cholesterol but also increases the amount of high density lipoproteins or good fats in the blood. I bet at least some of you are wondering why bother with the oil when you can make do with a few cloves of the garlic. The steam distillation process used to extract the oil leads to the aggregation of a bioactive compound known as ajoene, which is a potent antithrombotic agent that can prevent the formation of clots. You may have already heard about the antioxidant properties of aryl curcumene, which is a bioactive compound in turmeric oil (both Indian and Javanese). But, did you know that this phytochemical has significant abilities to lower levels of serum (blood) and liver triglycerides? Plus, the oil is a potent anti-inflammatory and antioxidant agent that boosts the immune system. Eugenol is a major component of this pungent oil and this phytochemical prevents the oxidation of low density lipoproteins. The peroxidation of these fats and proteins is what turns them into artery blockers. Moreover, clove oil is a powerful analgesic agent that boosts circulation due to its warming effect. When you need to get a grip on your soaring blood pressure but don’t want the hypotensive activity of the oil to make you feel drowsy, this is the aromatic extract to choose. Cinnamon oil helps to lower systolic blood pressure when used orally while its sweet, woody scent helps to clear mental fog, depression, stress, Alzheimer’s and Parkinson’s when used in aromatherapy. A circulatory system tonic and anti-inflammatory, cumin oil also helps to lower the levels of serum triglycerides and aids in relieving digestive problems caused by circulatory disorders. Furthermore, this is a purifying oil that speeds up the removal of toxins and metabolic waste from the body. A powerful antioxidant and anti-inflammatory agent, basil oil also acts as a vasodilator and circulatory stimulant. 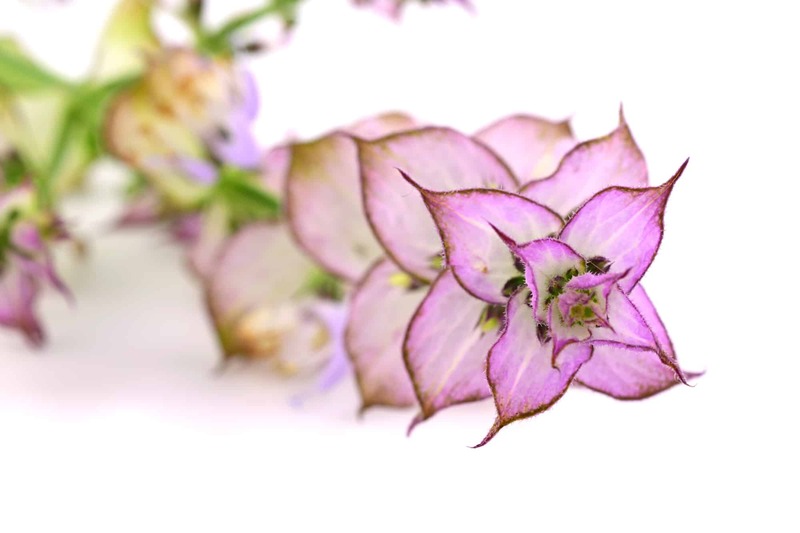 The herb and the oil derived from it are strong adaptogens that tone down the detrimental effects of stress on the body. The oil also helps to improve general cardiovascular health. The γ-terpinene in tea tree oil helps to prevent LDL oxidation and plaque formation. A powerful wound healer and stimulant, this antimicrobial and anti-inflammatory oil can also be used to treat leg ulcers and sores caused by circulatory issues. This one may not enjoy the popularity of its aromatic brethren but it’s no less effective. In fact, the healing ability of sweet marjoram goes well beyond just the blood vessels. 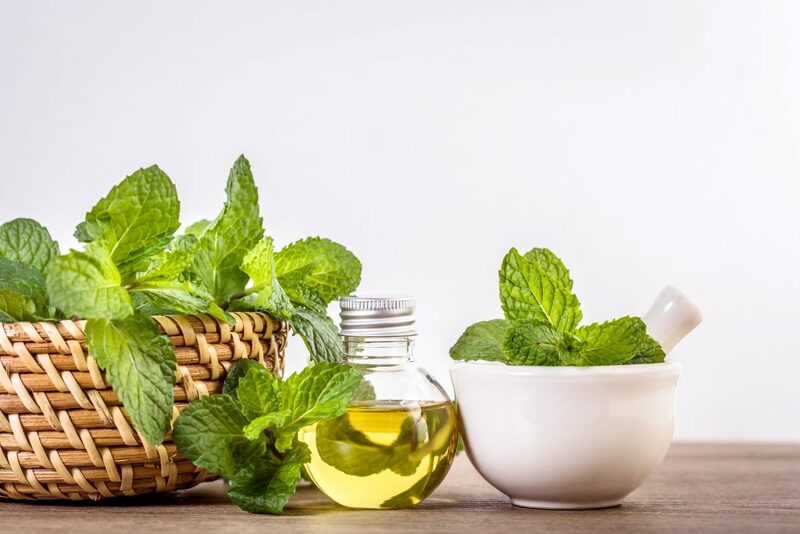 Although the Moroccans have been using it to treat hypertension for centuries, it has only recently come to light that this humble oil can also prevent oxidative stress of the cardiac muscles, thus extending its healing and anti-inflammatory benefits right to the heart of the matter. The herbaceous, floral fragrance of this oil is known to cut right through stress and anxiety. So, the fact that it exerts hypotensive effect comes as no surprise. But, few know that lavender oil is also a natural antiplatelet agent that can prevent clots with the same efficacy as aspirin. However, you get this benefit without the gastrointestinal problems or the pro-hemorrhagic complications of the drug. The aroma is exotic and enticing but this baby is more than just a fantastic smelling extract. Neroli oil is very effective against palpitation, hypertension, stress, menopausal and postmenopausal symptoms. The impressive bit here is that it can achieve all of this without making you feel drowsy. Another floral fragrance that you would not normally expect to find in this list, ylang ylang EO has been included exclusively for its superlative ability to lower cortisol levels and blood pressure in the body. Less cortisol in the system equates to a lower risk of blood vessel contraction, high blood pressure and fast heart rate. One of the most soothing oils available in nature, Valerian root oil calms the sympathetic nervous system while activating the parasympathetic nervous system which controls relaxation and rest. It is very effective against stress, insomnia, palpitation, hyperactivity and using it can lower blood pressure and the heart rate making it an ideal candidate for night-time blends. Because this oil calms both the heart rate and the respiratory rate and lowers systolic and diastolic blood pressure, it exerts an overall protective effect on the entire circulatory system. Moreover, it relaxes without slowing you down. So, clary sage is the one to use when you want to bring down your blood pressure but still want to get on with your day. Its anti-depressive effect adds to its other calming benefits. The thick, earthy smelling oil is not only has excellent antibacterial properties, but is also a fantastic vasorelaxant and vasodilator. Additionally, it is a phlebotonic agent that enhances the health of the blood vessels and improves circulation. Patchouli is also a diuretic and a lymphatic stimulant that leads to the faster purging of toxins and salts from the body. Eucalyptus is a stimulating oil. So, a lot of people think that it may be contraindicated for circulatory issues. In reality, the warming oil boosts circulation and is a vasodilator that helps to get the blood flowing as it should. Its soothing warmth is perfect to deal with swollen and achy legs and feet. Yes, the oil is stimulating but that impact is limited to your noggin and does not cover the central nervous system. So, eucalyptus oil can help with circulatory issues without raising your blood pressure. A diuretic and vasodilator, coriander oil not only helps to keep your blood pressure in check by relaxing the blood vessels but also aids in lowering stress and cortisol levels. Furthermore, the hypotensive oil is also capable of breaking down the fats from your blood and keeping them from contributing to arterial blocks. Did you know that coriander has superlative antibacterial properties that can be used to effectively kill pathogenic bacteria. Another stimulating oil that has the same reputation as eucalyptus, the cooling freshness of peppermint not only helps to curb external inflammation (read pain and swelling in the feet) but also keeps critters and phlegm buildup away from the respiratory tract. Because it helps you to breathe easy, it contributes to better and greater oxygenation of the blood. A lymphatic tonic, peppermint oil, when used topically, relaxes the blood vessels and improves circulation as well as lymphatic drainage. This citrus oil has earned a bit of bad rep owing to its phototoxicity. But, don’t let that stop you from using it in aromatherapy. A mere 15 minutes spent enjoying the refreshing scent of this oil will help to bring down both your blood pressure and heart rate. Plus, it will leave you feeling calmer, clear headed and invigorated. An uplifting and calming oil, the lemony fragrance of this extract helps to beat hypertension, palpitation and fast heart rate. Moreover, it offers an easy way to balance your emotions and keep stress in check. If you suffer from high blood pressure and/or cardiac arrhythmia, it’s best to refrain from using the essential oils of rosemary, hyssop, thyme and sage (not clary sage). Although these oils do not act on the central nervous system, they have potent stimulating properties, which might cause an increase in blood pressure and heart rate. Wintergreen is another oil that should only be used after consulting with your doctor because it contains methyl salicylate, a natural form of aspirin that can increase the effects of any blood thinning drugs you may already be using. Do not use any these oils on children who suffer from circulatory issues due to a congenital heart condition or any pediatric ailment, unless you have the “all clear” from your doctor. Verify the safety of the essential oils that you want to use if you are suffering from gestational or post pregnancy hypertension. Blend all the oils together in a glass bowl and store in a dark colored, glass bottle. If you suffer from Raynaud’s, leave peppermint oil out of the mix. To use, massage as you would any pain liniment or balm on the swollen and sore areas of your feet and legs. Apply a bit of downward pressure and move your hands upwards and towards your heart. Wearing compression socks after the massage will get you better results. Don’t use this blend on open wounds or oozing sores. Preparation and storage as above. Use this blend as you would any body lotion. 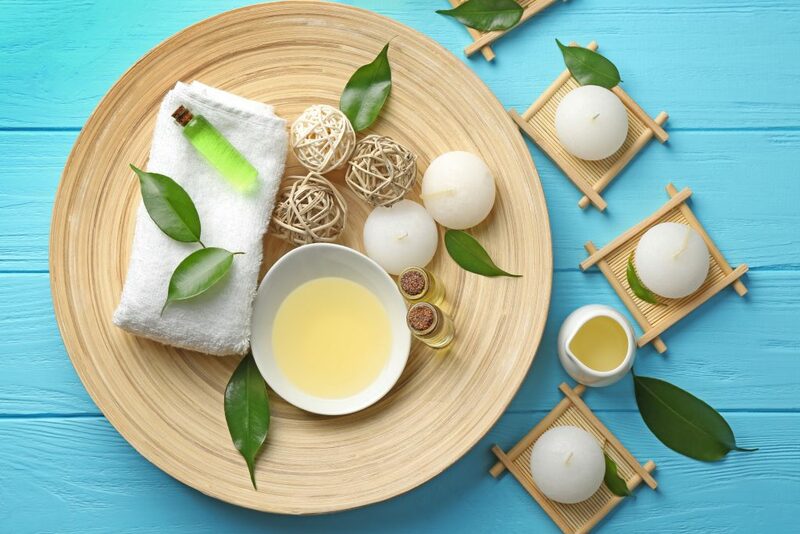 The alternate warming-cooling effect of the oil helps to improve circulation while the antioxidant and healing abilities of the EOs also work wonders for your skin. Fill a tub halfway with hot water (comfortably hot not scalding hot). Mix the essential oils with milk in a small bowl and set the blend aside. Add the salt to the hot water and stir to dissolve the crystals. Pour the EO-milk blend into the warm salt water and agitate. Soak your feet in this water for 15-20 minutes. Wiggle your toes while you have your tootsies in there. This will improve circulation and alleviate the tingling and pain if any. Preparation as above except this time, you will be running yourself a bath, so the salt and the blend go into the bathtub. Stir well after pouring in the milk-EO mixture till you don’t see large oil droplets floating on top. Soak yourself in this healing bath for 15-20 minutes. Mix the oils and store in a dark color glass bottle. To use, simply put 2-3 drops of the blend on the absorbent pad inside the pendant and enjoy the soothing calmness these oils offer. Did I mention that the blend smells amazing? Mix the essential oils in a dark colored glass bottle. Use 5-6 drops of the blend in a diffuser of your choice. Typically, a 30-60 minute session is enough to deal with the mental triggers of circulatory issues and hypertension. End your day with this delicious moon milk recipe when not using the other essential oil ingestion blend. Mix the oils in advance and store in a dark, glass bottle away from heat and direct sunlight. You can always store the blend in the refrigerator. You will only need one drop per cup of milk. Pour the milk in a pan and place it on medium-low heat. Add about a tablespoon of honey to the milk along with the lavender flowers or rose petals. Allow it to simmer for 15-30 seconds. Then, take the milk off the heat and strain to remove the floral ingredients. Give it a minute to cool before adding 1 drop of the essential oil blend to it. Whisk with a hand blender to mix the oils with the milk and to get a latte like texture. Pour into a cup and garnish with frozen berries or a few slices of blanched almond (optional). Treat yourself to this calming and healing moon milk twice each week to keep the ticker and all the tubes in top shape. Mix the oils and store in a dark glass bottle. Because some of these oils are quite pungent, you will need to dilute them. Add a drop (just 1 drop) of the essential oil blend to ½ teaspoon of black cumin oil, virgin coconut oil, extra virgin olive oil or flaxseed oil. There are lots of creative ways in which you can add this blend to your diet or if you don’t want to fuss over it, you can simply use empty capsules. Yes, you can buy these online. Dilute the essential oil blend using black cumin oil as the carrier in the ratio of 1 drop of the blend for 20 drops or 1 ml of carrier oil. Open the capsule and fill the oil blend in the narrower half of the two parts. Don’t make more than 4-5 capsules at a time. For filling the capsule with the blend, you will need a glass pipette or eye dropper. You can mix the EO blend and the carrier oil in advance and then pour it (with the pipette) into the capsule or pour a drop of the EO blend into the capsule and then top it off with the carrier oil. Close using the other half (the wider half) and take one capsule immediately before or after a meal (preferably dinner) every 3 days. So, that is 2 capsules a week. 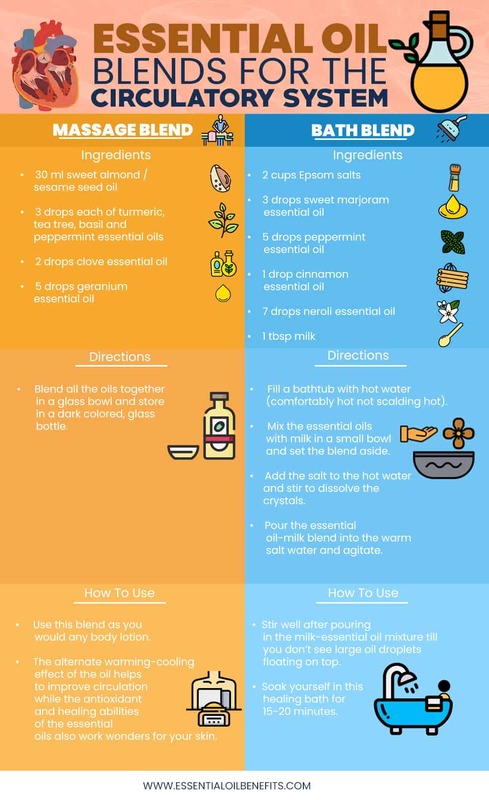 The idea is to keep the consumption at 1-2 drops/week if you are using the blend for prevention and 2-3 drops if you are using the recipe for controlling existing circulatory problems. So at the most, you can increase the dosage to 3 capsules/week, but don’t go overboard with this recipe because it is extremely potent and you certainly don’t want your blood pressure plunging to the point of it turning into an emergency. If you are already taking statins (triglyceride and cholesterol lowering drugs), blood thinning medication or antihypertensive drugs, keep a close watch on your lipid profile and blood pressure levels while using this recipe or consult with your doctor before using this blend. If you tend to lead a stressful life and have generally unhealthy dietary and lifestyle habits, you can use this blend as a precautionary measure, but when using it as such, limit your consumption to just 2 capsules a week and take a break every 3 weeks. So, that would be 3 “on” weeks and 1 “off” week every month. If you don’t want to bother with the capsule, add the blend to olive oil, mix in some apple cider vinegar and you’ll have yourself a delicious and uber healthy salad dressing. Another way is to use it to flavor vegetable soups/broth or even curries. If using it in cooking, add a drop to a pot/pan full of soup and not to just one bowl; that would be too flavorsome. Also, let the soup/curry cool down a bit before adding the oil. If you are just going for a bowl of soup, dip one end of a tooth pick in the oil and stir the soup with it. 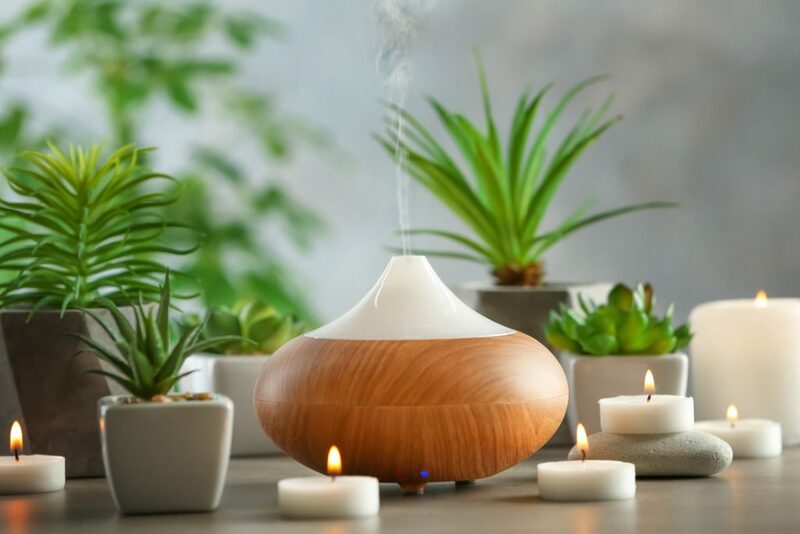 Coriander essential oil has sedative properties, so it is best to use this blend in the evening or over the weekend when you can afford an afternoon nap. If you must use it during the day, substitute clove oil for coriander oil in the recipe. Do not use the oil of any herb/spice that you are allergic to. This blend is not meant for children, pregnant or breast feeding women. Unfortunately, circulatory problems are more often than not chronic issues. Even when you do manage to get a grip on them, letting up a bit can make them come right back to haunt you. Their ability to creep up on you is what makes them particularly stressful and you already know that stress exacerbates the problem. So, don’t let circulatory issues gain a foothold in your life. Healthy eating, regular workouts and the use of essential oils can help you to stop cardiovascular ailments before they wreak havoc in your life. So, keep the blood flowing as it should and you may be able to add a whopping 10-15 or more “healthy and happy” years to your life. On that note, here is wishing you all a life free of clots, blocks, stress and hypertension! thank you for the useful article. How can I make a copy of it please? Sure. You can use the print function at the top right hand side of each post. Very informative article I really appreciate the help of understanding how to use the oils. Thank you for a wonderfully informative article.